A recent blog emphasised the importance of nitrates in our diet. But which vegetable contains the most nitrates and when is the best time to eat them if you want to boost your exercise performance? Some insight came recently from a balanced crossover research study which looked into whether concentrated beetroot juice (CBJ*) would improve athletic performance by increasing nitric oxide production within their bodies. They took 10 healthy men, split them into a placebo group (P*) and the beetroot group (B*). Varying amounts (70, 140 and 280 ml) of CBJ were given to the B group over a twenty four hour period. The men were then given six different moderate- to severe-intensity sessions of cycling. 70 ml CBJ made no difference between the B group and the P group. 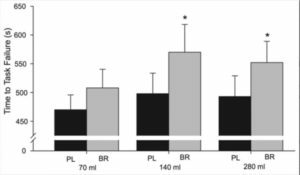 140 and 280 ml CBJ reduced the steady-state oxygen uptake during moderate-intensity exercise by 1.7% and 3.0%, and time-to-task failure (the point of physical exhaustion) was extended by 14% and 12%, respectively, compared with the P group. Basically, this meant that the P group could manage around eight minutes of intense cycling after drinking their placebo. After consuming 70 ml CBJ (4 nitrate “units”), the B group were only able to cycle for a few seconds more than the P group. No big deal. But, but after consuming 140 ml (8 nitrate “units”), the B group were able to cycle for around a whole extra minute. 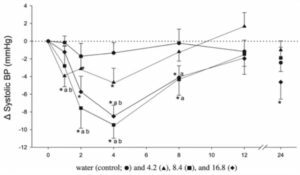 Drinking the 280 ml dose (16 nitrate “units”) didn’t improve performance any further. So when is the best time to have your beetroot juice? Whilst people differ in their requirements and absorption rates, it is thought that eating your beet two to three hours before strenuous exercise or athletic competitions is a good rule of thumb. Were any other health markers affected by the CBJ? It appears that blood pressure may have been lowered by a small amount with 4 units, but 8 and 16 units were able to produce a 10-point drop in blood pressure – reducing heart attack risk by 25% and stroke risk by 35%. …but isn’t an extracted and concentrated juice, whether made from fruit or veg, still a processed food? So how else can we get those 8 nitrate units from readily-available and reasonably-priced veg? 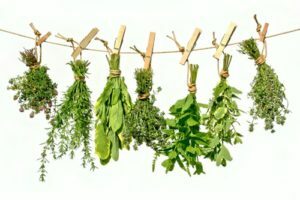 Now I know a previous blog explained how chewing nitrates was better than juicing them, since it increases the nitrite available for our endothelial cells to make nitric acid; but it’s far better to cram that veg into your body in the form of Dr Greger’s smoothie than not to eat the veg at all! 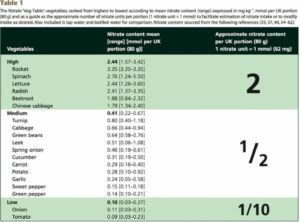 A helpful guide to the nitrate content of groups of vegetables was provided as a result of some research by the British Heart Foundation. If, however, we’re aiming for the 8 units of nitrates a day, we need to eat a LOT more vegetables than most people are used to eating. It’s suggested that the majority of people people get only around one unit a day. To end on a possibly surprising note, those eating a completely organic diet may have to eat more vegetables than those eating non-organic. Why? Simply because research suggests that synthetic nitrogen fertilisers leaves more nitrogen in the vegetables that end up on our tables. 1. Which of these is the correct order? 3. 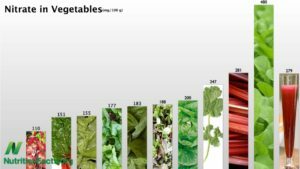 Which of these vegetables have 2 units of nitrate per serving? Wylie LJ1, Kelly J, Bailey SJ, Blackwell JR, Skiba PF, Winyard PG, Jeukendrup AE, Vanhatalo A, Jones AM. J Appl Physiol (1985). 2013 Aug 1;115(3):325-36. doi: 10.1152/japplphysiol.00372.2013. Epub 2013 May 2. Beetroot juice and exercise: pharmacodynamic and dose-response relationships. Lidder S1, Webb AJ. Br J Clin Pharmacol. 2013 Mar;75(3):677-96. doi: 10.1111/j.1365-2125.2012.04420.x. NF Hord, Y Tang, NS Bryan. Am J Clin Nutr. 2009 Jul;90(1):1-10. Food sources of nitrates and nitrites: the physiologic context for potential health benefits. R Kazimierczak, E Hallmann, J Lipowski, N Drela, A Kowalik, T Püssa, D Matt, A Luik, D Gozdowski, E Rembiałkowska. J Sci Food Agric. 2014 Oct;94(13):2618-29. Beetroot (Beta vulgaris L.) and naturally fermented beetroot juices from organic and conventional production: metabolomics, antioxidant levels and anticancer activity. V Worthington. J Altern Complement Med. 2001 Apr;7(2):161-73. 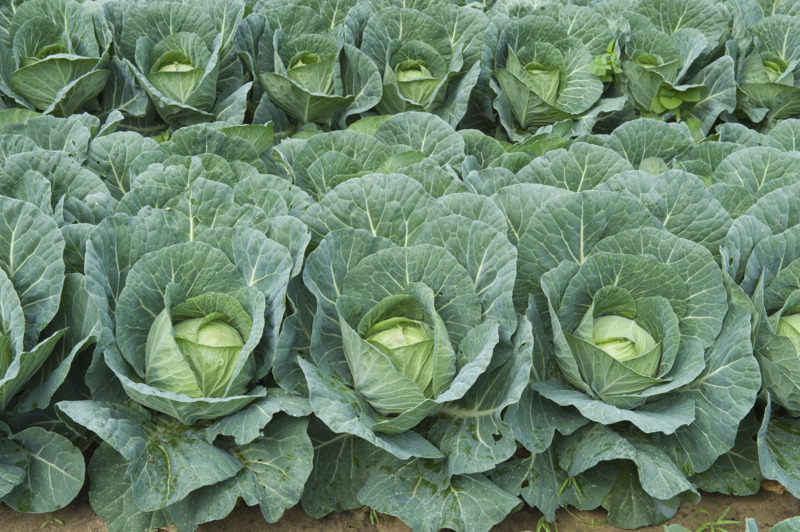 Nutritional quality of organic versus conventional fruits, vegetables, and grains. Szopinska A and Gaweda M. Journal of Horticultural Research. 2013, 21(1): 107-114. Comparison of Yield and Quality of Red Beet Roots Cultivated Using Conventional, Integrated, And Method. Previous Previous post: But I thought Fish Was Good For Me!